This post is from 2016. The products have now evolved, please read the updated review! 3D printing constantly evolves. This evolution allows more and more applications. 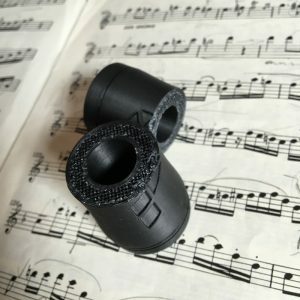 So, why not a 3D printed clarinet? Well, that’s what Ryan Pereira (almost) does. His company Pereira 3D Clarinet Innovations is making 3D printed barrels and bells for clarinet. I began with the MR barrel. The feeling was good, the sound seemed even a bit more focused than with the stock barrel of my Buffet Festival. Then I added the bell. The sound wasn’t that different. I just felt a little lack of resonance on the lowest notes. Then I tried a new combination: stock bell and Streamline barrel. 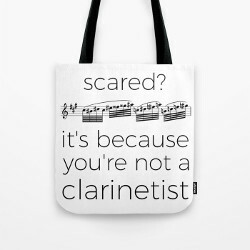 Oops, this one didn’t fit perfectly on my clarinet, I had to put some extra cork grease and it remained a bit hard despite of it. The sound was even more focused, maybe too focused. There was a lack of power, and I felt sort of a resistance while trying to play louder. I think this barrel can fit other musicians, but maybe not with my clarinet and mouthpiece — a Buffet Festival and a Vandoren B40 Lyre. I tried to remove this barrel to compare it with the stock barrel again, but it was almost stuck! I had to make an effort (I didn’t go crazy on it though), and crack, it was broken in two! I sent a message to Ryan. He immediately offered to send me a new one. Wooden barrels are made of fibers while 3D printed objects are made of superimposed layers. The barrel broke between two layers, which is not that surprising. But 3D printing will hopefully evolve towards greater cohesion between the layers so that won’t happen in the future. Back home after my vacation, I took more time to play with the MR barrel and the bell and different combination of 3D printed and stock material. I recorded myself to be more objective about the sound differences. Here are four recordings. Please listen to them and tell me which one you prefer and why, by commenting below the post. I’m putting the matching combination in an anti-spoiler box just after the recordings. D : MR barrel and stock bell. But sound isn’t the only reason why you might want to have a new barrel and/or bell. It can be a matter of look. The shapes of Ryan’s products are rather cool, and you can have them customized. 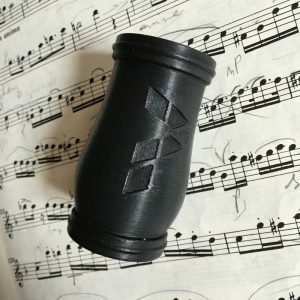 If you look at the products upclose, you’ll notice that the surface isn’t that smooth, but if you step back a few feet, the matte appearance matches the wooden body of the instrument perfectly. Be aware that the surface is quite fragile. A fingernail can easily make a scratch on it. The weight gain is from 16 to 28g for the barrel and 56g for the bell. The total gain is from 72 to 84g. To whole clarinet with stock barrel and bell weights 819g, so that’s a 8,8 to 10,3% gain on the total weight. As a comparison, removing the left Eb lever only provides a 14g gain. All products are being sold at a very competitive price: $80 for a barrel and $150 for a bell. 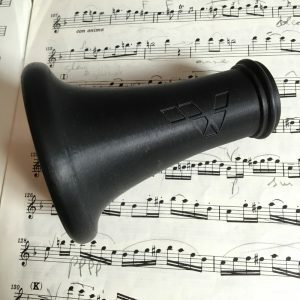 If interested, you’ll find these bells and barrels on Pereira 3D Clarinet Innovations online shop. Previous Article How many pieces can you recognize from the score? B was definitely my preference. A rich, full tone which is very well matched between the various registers. D was not too bad either. Hi Paul, I have the same impressions, my favorite combination is the stock material, then comes the MR barrel with stock bell. Ha! I just checked the matching combinations after posting my preference. As I am also a Buffet player perhaps I am favouring the sound that I’m familiar with. Great post! Thanks for listening to my podcast. How have you enjoyed these barrels a few months on?